Red Kidney Beans are known as Rajma in India. They are rich in protein, carbs and fiber. These beans are very popular in weight-loss diet program. It also helps to moderate blood sugar level, developing strong bones and reduce the risk of colon cancer. 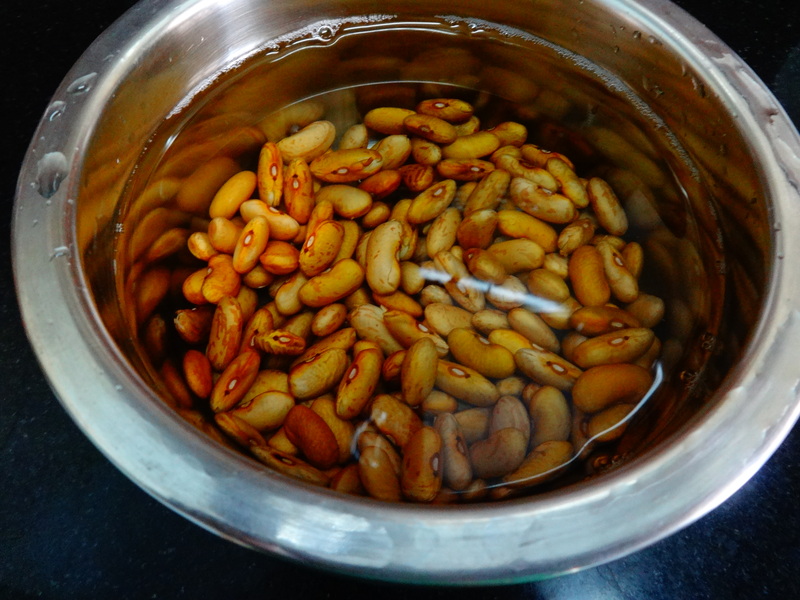 Warning: Red Kidney Beans should be soaked in water for at least 5 hours before cooking and boiled for at least 15 mins. Improperly cooked beans are toxic. I tried this recipe like the way my mom prepares. Generally people make this recipe in different ways in North India. But this one is also equally delicious. This curry could be consumed with white rice or roti. First soak the Rajma for about 8 to 9 hours, before cooking. After soaking for long hours, drain the water, keep the Rajma aside, Now get the ingredients (make a paste out of ginger and garlic, tomatoes, onion, curry leaves and coriander leaves) ready. Now heat the pressure cooker, add oil, mustard and cumin seeds into that, saute for a min. Add ginger garlic paste into that, saute well for 1 min and then add onions and curry leaves into that. 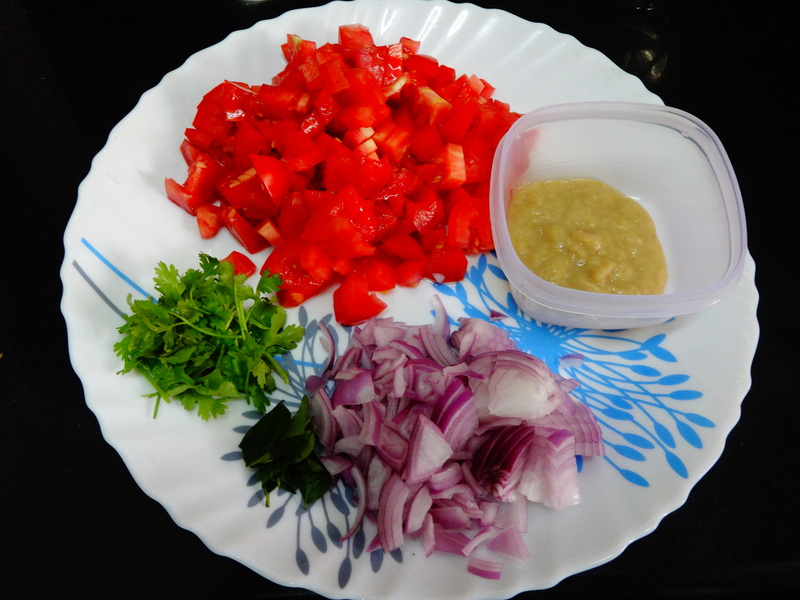 Mix everything well, once the onion turns into dark color, add the tomatoes into that mixture and stir well for few mins. 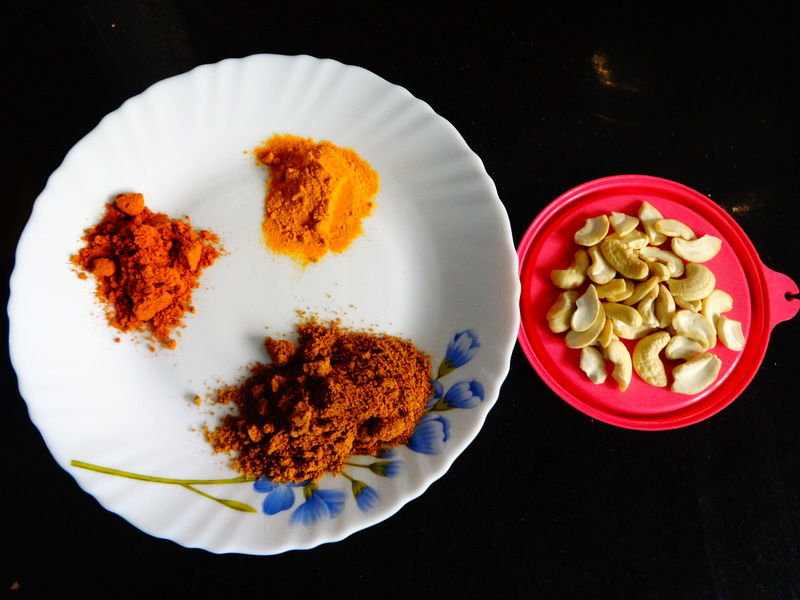 once everything blends well, add salt, turmeric powder, chili powder and garam masala into that mixture and mix well. Add 1 cup of water into that, once it starts boiling add Rajma also into that and add one more cup of water, close the pressure cooker. Leave for almost 8 to 9 whistles and turn off the burner. Once it is done, make a paste out of cashew nuts and garnish the curry with coriander leaves and cashew nut paste on top of that curry. 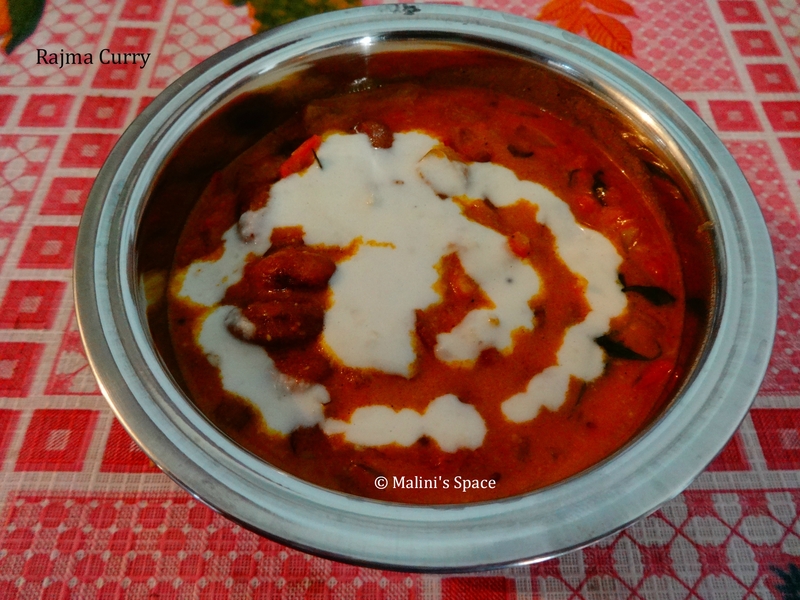 Now delicious Rajma curry is ready to be served.